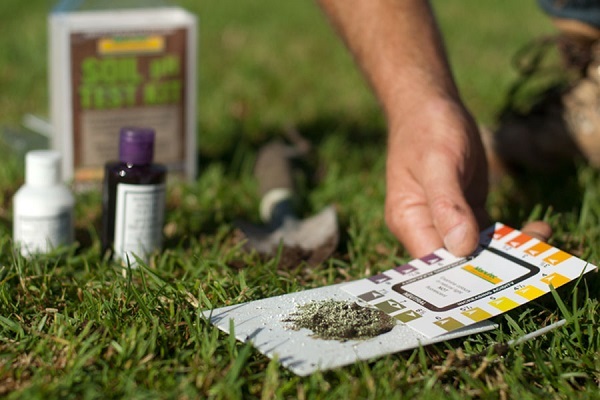 Weeds, patchy spots or yellowish lawn these are the signs of pH imbalance in your lawn. These problems can be resolved by applying lime applications to your lawn which provides nutrients and repair the damage. The lime used for the lawn is limestone or chalk made up of calcium carbonate. Two types of lime are commonly used in lawns and gardens, agricultural lime and dolomitic lime. The factors that determine the lime needs are soil pH and buffer pH which can be determine by soil testing. Lime rich in calcium content is known as calcitic lime which adds calcium to the soil. Some limestone contains a significant amount of magnesium and is referred to as dolomitic lime. Dolomitic lime adds magnesium to the soil and could be used if soil tests indicate a magnesium deficiency. Soils can be naturally acidic but can also be acidified over time by natural leaching, the use of some nitrogen fertilizers, excessive rainfall or irrigation, and acidic water sources. A pH below 6.0 binds important plant growth nutrients in the soil, making them unavailable to the plant. As a result, turf losses its color, reduced strength and diminishes ability to recover from heat and drought stress. Does your lawn needs lime? The best way to know if your yard needs lime is done by soil tests. By this you can maintain an pH level of the soil and optimum nutrient uptake. When Can Lime be Applied? Apply lime when preparing soil for planting grass. Otherwise, lime can be applied throughout the year but tends to be most effective in the fall since rain and cold temperatures help work lime into the soil. Lime shouldn't be applied to grass and yards that are covered in frost. The amount of lime required depends upon acidity, type of soil and material of lime. Soil tests will indicate the amount of calcium carbonate to apply in pounds per thousand square feet. Match the needs of the soil test to the amount of pure calcium carbonate indicated on the bag and apply with a lawn spreader. Pulverized lime is powdery and messy to apply, often causing lime dust to blow everywhere. Pelletized lime is more expensive but is made into dust-free pellets which dissolve with subsequent rains or irrigation.